Again Judge was interviewed by Johny Brown in his show Mining For Gold on Resonance FM, Friday October 17th. The previous show largely dealt with the L-RAD album, but this show was more of an overview of Judge’s musical career. Judge and Johny were joined in the studio by David Scoffield and Seán Kelly, and music from almost every album by Judge was played. Before the interview, that same night Judge decided to stop by the Luna Lounge in London, where his musical companion John Ellis had a residency for four nights. John played with Michael Ward-Bergeman that night, and they were kind enough to do (and the audience lucky enough to witness) one song together, which was ‘Carpet Tiles’. This page shows some pictures of the performance at the Luna Lounge and of the interview at Resonance FM. Scroll to the bottom of this page to find a download of the Resonance FM show in mp3-format, made possible by Johny Brown and Resonance FM. 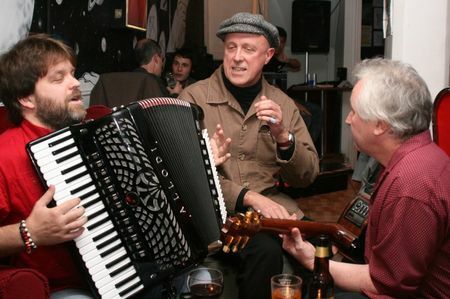 Michael, Judge and John doing an impromptu rehearsal (photo by Seán Kelly). 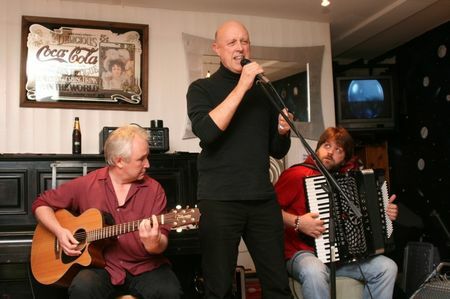 John, Judge and Michael doing ‘Carpet Tiles’ (photo by Seán Kelly). 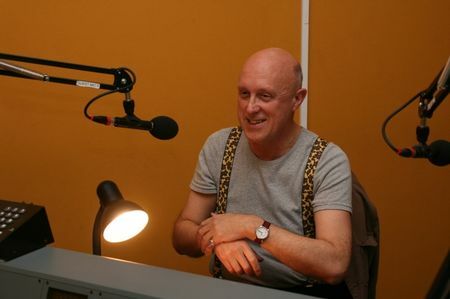 Judge being interviewed for Resonance FM (photo by Seán Kelly). 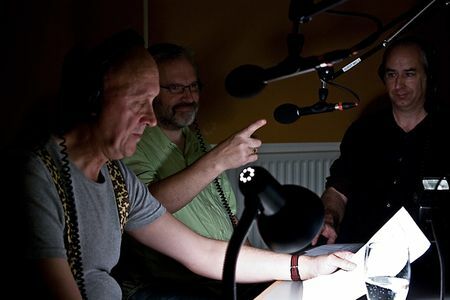 Judge, Seán Kelly and David Scoffield at Resonance FM (photo by Inga Tillere). The mp3’s for download are all at 128 kbps. The music has been left out for obvious reasons. 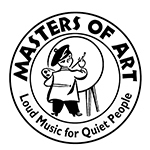 Thanks to Johny Brown and Resonance FM for making this possible.